Gangnam seems to have it all: money, glitz, style, etc. It even has great balling locations. One such court is in the small, unassuming Maroo Park. 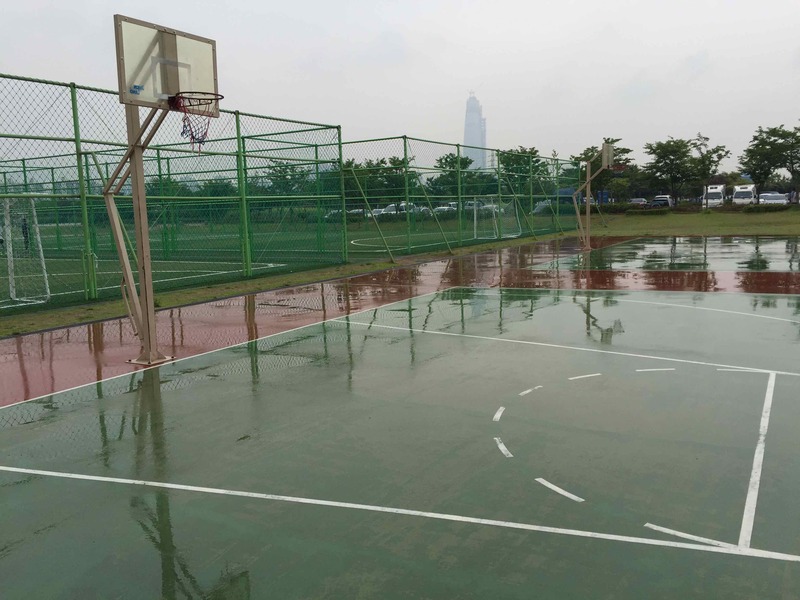 The park specializes in sports and indeed serves up a good offering of basketball. There are two full courts side by side which can support plenty of players. 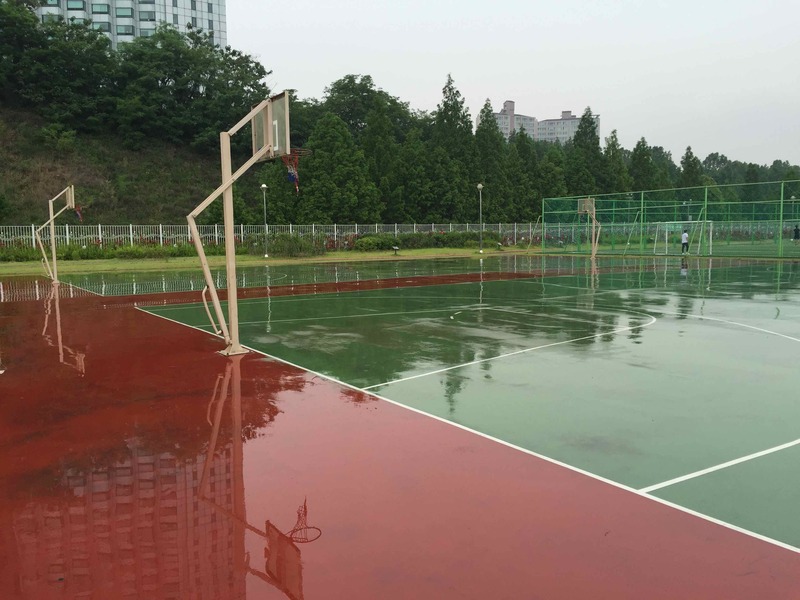 If you are looking for a place to play basketball in Gangnam, definitely consider Maroo Park. Play basketball. At Maroo Park. Because if you don't. You won't. So play. Today. Wet. It stays wet when it rains. This is to be expected though. 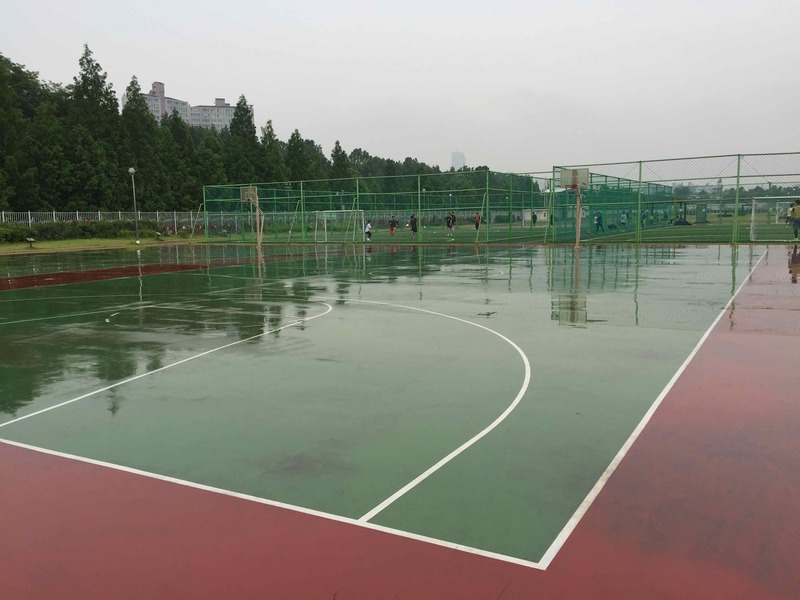 On dry days, the courts stay dry. 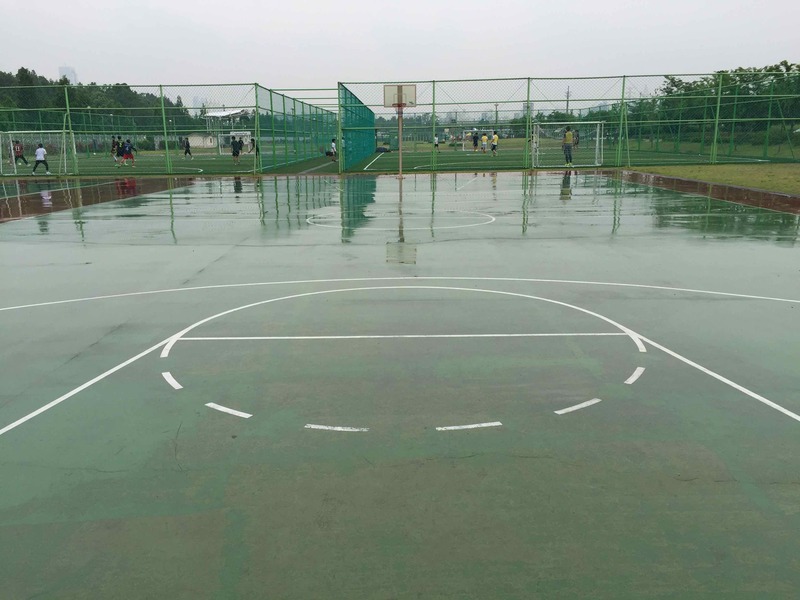 The courts are typical outdoor asphalt courts. They normal boundary lines are marked well: sideline, baseline, key, 3-point arc, etc. Great sports setting. Futsal fields are nearby. A great, free-for-public-use tennis complex is also nearby. The park sees a lot of activity from the fit-minded. 2 courts. Both full. Both in great shape. There are bathrooms nearby. There is no reason to pee in your pants here (unless you're getting schooled by Matthew Dellavedova). 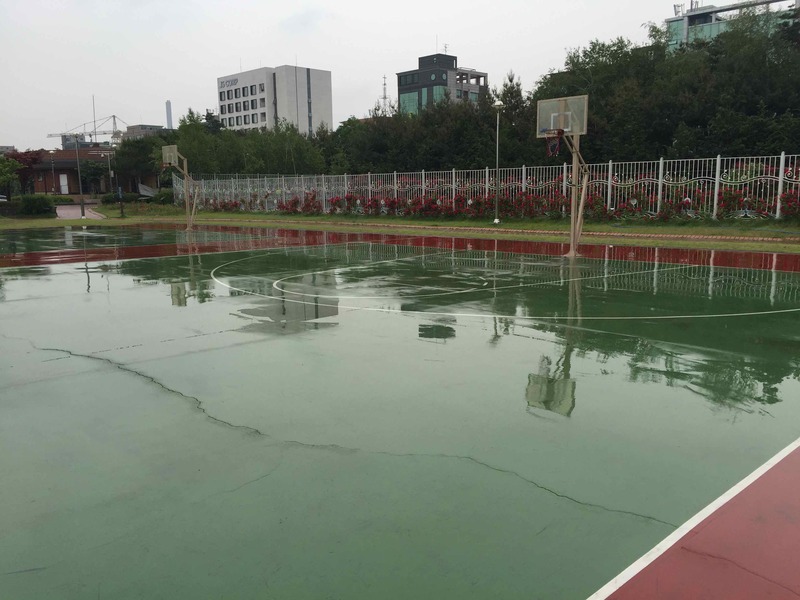 The courts get wet when it rains. The actual goals are in decent shape, but they aren't great. They are in fine game condition, though. There isn't much shade right next to the court. They are a bit exposed (much like Marc Gasol). Drink the water from the nearby water fountain or bring your own drinks. There's not much to be had here. Check out the Maroo Park photo album to see more pictures of the area. -Leave through exit 2. Turn left and walk for 200 meters. Look for a small path that leads into the park on your left. 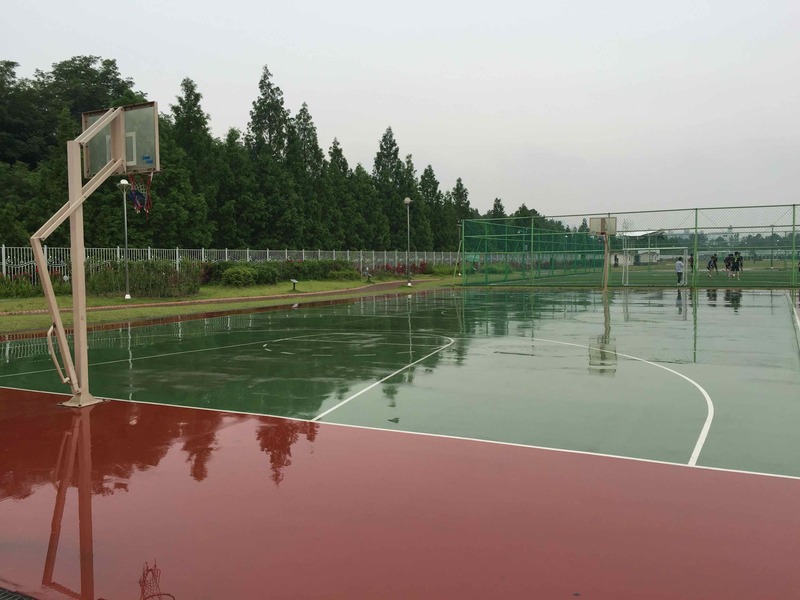 As soon as you enter the park, the basketball courts will be right in front of you.